Description: Tool Bag Large Utility Open Contractor Shoulder Rugged Carry Zipper Organizer, LOT of 3 Items; 30" & 16" Tough Built Massive Mouth Tool Bags, 1 clip on Hammer Holster. Description: Stainless, 2 LED lights, fans /w filters, Range Hood, has several different settings. Appears new, never wired or mounted. 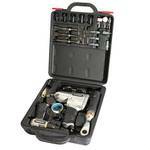 Description: Acero 7 piece knife set, with carrying case. German Steel, this is an expensive excellent set of knives. New in original packing. Box shows signs of wear. 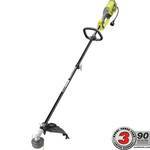 Description: Turn your line trimmer into a hedge trimmer with this attachment. 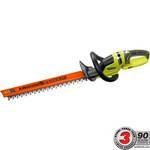 The Ryobi Expand It 17 1/2 in. 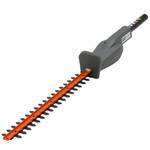 Universal Hedge Trimmer Attachment is ideal to cut branches and new growth up to 3/8 in. thick. Description: The Yellow Indoor Heater from Stanley allows you to choose from three quiet settings low at 900 watts, high at 1500 watts, or the fan only mode for continuous air circulation. 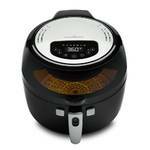 The unit is equipped with an adjustable thermostat which allows for maintaining a personalized comfort level. The pivoting function allows you to direct heat where it is most needed. 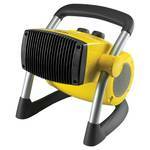 This heater also includes a rubberized handle, easy use controls, and built in safety features. Description: Vivitar Wifi Drone With Camera Full HD camera with live video feed over wifi. Follow me technology. GPS tracking. The drone has a range of 1000 feet. 2.4 Ghz remote control system. Wifi app control. One Key return Auto Follow me technology. GPS tracking. The drone has a range of 1000 feet. 2.4 Ghz remote control system. Wifi app control. One Key return Auto Hover. 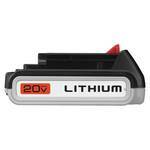 Description: Ensure your 20 volt cordless BLACK+DECKER tools or outdoor power devices have a backup power source with this lightweight lithium ion battery. This unit resists drainage and retains its charge when not in use, so it's ready to go even after long periods of inactivity. Give your equipment a jolt with a chemically advanced battery that is superior to NiCd in performance and endurance. Description: High performance aluminum oxide grain allows the disc to break down quickly consistently exposing new grain for faster removal Proprietary material mix ensures durable long life discs Tough fiber backing prevents tearing. Description: Zuo Plush White Genuine Leather Bar Stools. 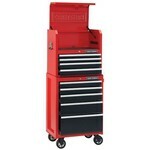 Description: Brand New In Box, HD Husky 36 Rolling Tool Chest. 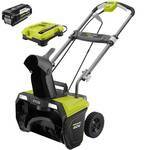 The Husky Extra Deep 36 in. 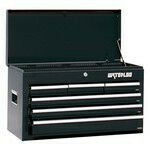 6 Drawer Roller Cabinet Tool Chest is a great storage solution for any work space. This unit is constructed of all welded steel and has a rust resistant red powder coat finish, which means it is built to last and looks great. 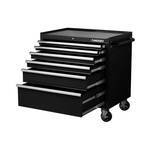 6 drawers of varying sizes provide a total of 17,732 cu. in. of storage capacity. Each drawer glides effortlessly on 100 lb. rated ball bearing slides and features the Secure Latch retention system that ensures your drawers stay closed. 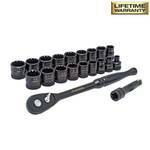 A liner is provided for every drawer to protect both your tools and drawers. Finally, 5 in. x 2 in. casters with stylish hubcaps and ergonomic push handle make it easy to move this combo around your workspace. Description: This IRIS Store It All Tote features a compartment lid for easy access to tools, cords and other essentials. 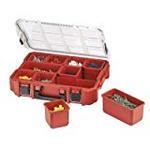 The rugged construction makes it the perfect solution for organizing tools at a construction site, camping gear on a hunting trip, gardening supplies in the garage, or household items in the basement. 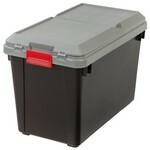 The heavy duty buckles keep lid securely attached. Color Black. Description: This versatile Stinger 2 1/2 Gal. 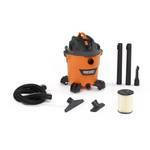 wet dry vac provides powerful suction and converts into a blower to clear debris. 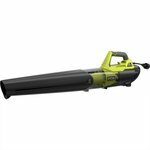 The dent resistant plastic tank helps keep the shop vac unharmed, while the included vacuum attachments, the multi purpose and utility nozzles help you take on a wide variety of difficult cleaning projects. 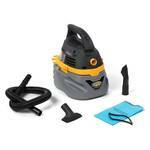 Uses replacement vacuum bag VF2000. Color Yellows / Golds. 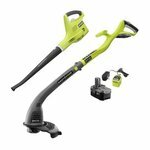 Description: The RYOBI Expand It Snow Thrower Attachment is ideal for clearing up to 6 inches of snow from sidewalks, decks, and driveways. 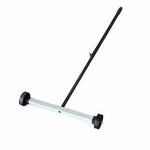 For added convenience, the offset handle allows users to walk along the cleared path. 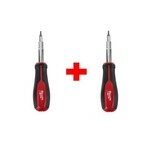 Backed by a 3 year limited warranty, there has never been a better time to add to your Expand It family of tools. 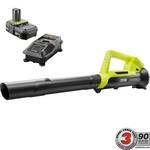 Description: This Ryobi 18 Volt ONE+ Cordless Blower is perfect for hard surfaces, blasting away leaves and debris at 200 CFM and 90 MPH. 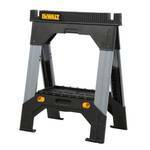 The compact, lightweight design makes it easy to handle and reduces fatigue. 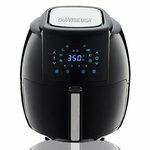 With cordless convenience you gain increased mobility without the hassle of gas and oil. 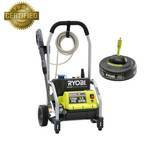 Best of all, the included 18 Volt battery is compatible with Over 125 tools in the Ryobi ONE+ family. 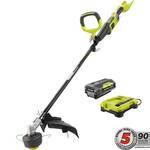 Description: Trim your lawn quickly and easily with the Ryobi 10 Amp string trimmer. 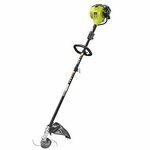 The extra reach lets you trim underneath decks, shrubs and other hard to reach areas. 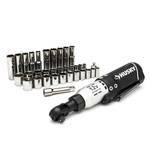 The durable attachment provides a cutting swath of 18 in. to get the job done faster. 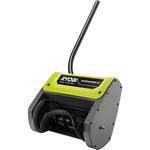 Includes the Reel Easy Bump head for fast and easy line replacement. 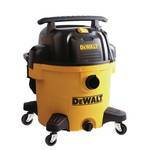 Features an easy to load bump feed head, a fast loading fixed line head and 2 trimming options. 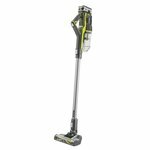 This lightweight, easy to start trimmer is backed by a 3 year warranty. 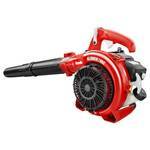 Description: 135 MPH 440 CFM 8 Amp Electric Jet Fan Blower - Powerful and Lightweight Design, Make it the Ultimate Blower. 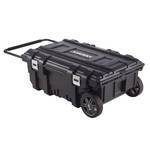 Description: The Husky 37 inch Locking Cart With Keys. 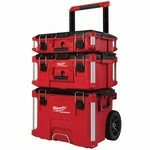 This Mobile Work Cart has a 50 Gallon holding capacity, great for storing large power tools, accessories and gear. This 37 in. work cart comes with extra large metal latches and a built in keyed lock system, keeping all your gear secure in the garage or on the jobsite. A one of a kind electrical cord outlet allows you to charge your power tools or cell phone.